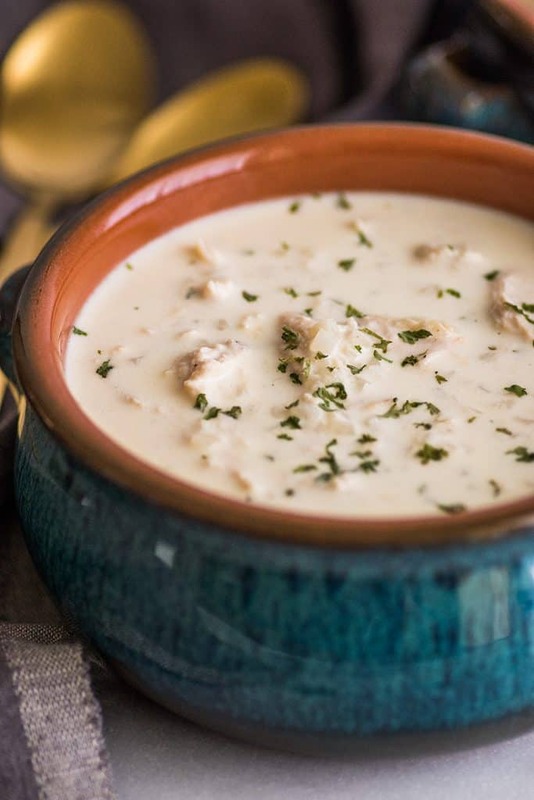 Hey, friends, I’m switching things up a little today and sharing one of my favorite keto recipes: Creamy Keto Chicken and Rice Soup, the rice being cauliflower rice of course. This is pure comfort food, so rich and creamy and satisfying, it’s exactly the sort of thing you want to curl up on the couch with when the evenings are chilly. And best of all, it’s easy and FAST to make. 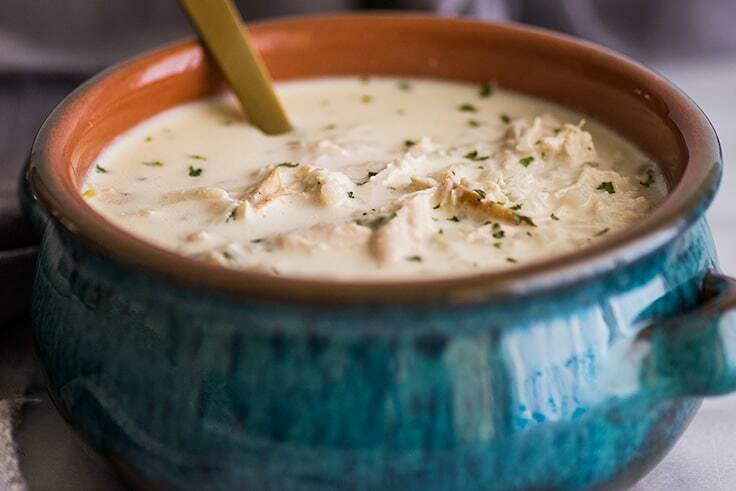 If you have cooked chicken on hand and some cauliflower rice (store-bought or homemade), this soup will take you less than 15 minutes to throw together, and that includes prep time. 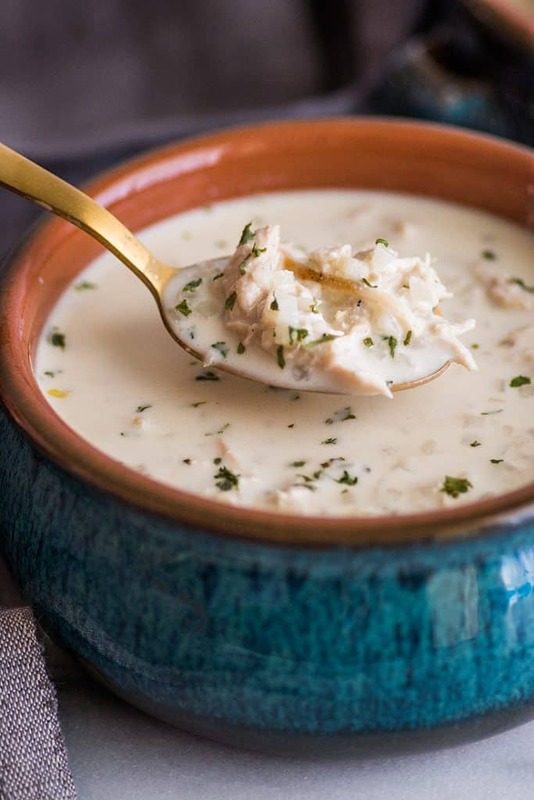 This recipe makes about four cups of soup, two really big servings of Keto Chicken Soup or three smaller ones and comes in at 5 net carbs. 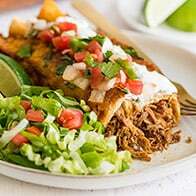 Leftovers reheat really well if you’re making it for one, and if you’re feeding someone who doesn’t eat keto, it’s so rich and creamy that it’s very non-keto eater friendly. 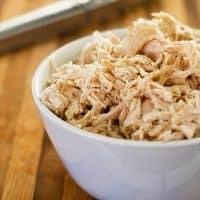 If you don’t have shredded chicken on hand, I’ve included instructions for cooking shredded chicken below the recipe, or see my post How to Cook Shredded Chicken for step-by-step photos. If you don’t want the cauliflower carbs, you can omit the cauliflower rice, and the soup is still delicious. 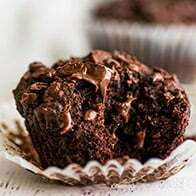 Looking for more keto-friendly recipes? Try my Bacon and Feta Stuffed Chicken Breast, Keto Fried Rice, and Keto Chicken in Cream Sauce. 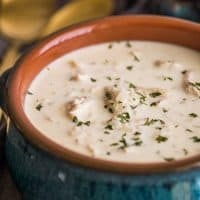 This creamy Keto Chicken Soup, AKA Low-carb Chicken and "Rice" Soup is pure comfort food and so fast and easy to throw together. 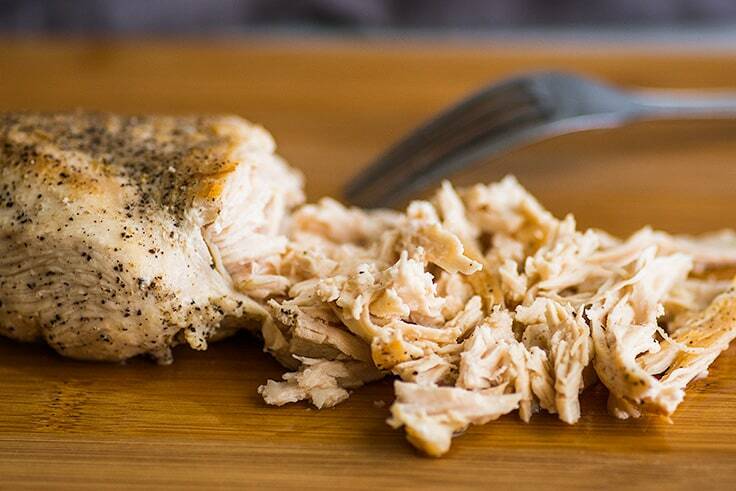 If you have shredded chicken on hand, this soup will take you less than 15 minutes to make. In a medium saucepan, melt butter over medium heat. Add garlic and cook until lightly golden, about 30 seconds. Add chicken and stir until coated in butter. Add cubed cream cheese and stir until cream cheese melts and coats the chicken. Add broth, heavy cream, parsley, and onion powder. Bring to a boil over medium-high heat, and turn stove down so soup is just at a simmer. Simmer for 3 to 4 minutes until slightly reduced. Stir in cooked cauliflower rice and salt to taste. If your cauliflower was cold, heat soup over medium until hot. 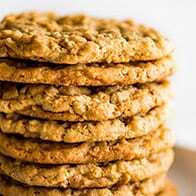 Approximate nutritional information is for 3 servings. 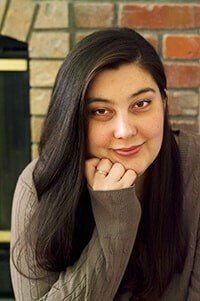 Holy freaking moly – I just struck gold with your post. Not only do I have cream cheese I have to use up, but I’m on the tail end of a head cold so I’m craving soup like crazy! This recipe looks all KINDS of comforting. PINNING! Thanks, Christina! Hope you feel better soon!! This looks ridiculously good, Tracy!!! Love how creamy it is and genius using the cauliflower as the rice. Totally craving a huge bowl of this right now for breakfast. P.S. Those bowls are gorgeous!! Want! Made this tonight! Absolutely delicious! 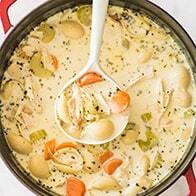 This will be in my soup collection for sure! I am going to take the recipe and divide into 4 servings and pair it with a salad! So stinking good and soooooo easy! So happy you enjoyed it, Kim! This is delish, and quick too,perfect on a cold day. Nothing better than soup on a cold day. So happy to hear you enjoyed it! Just made this and it was a HUGE hit with the whole family! Yay! Glad the fam liked it! My daughter made this and I tasted a sample and loved it. Tonight I made my third batch and I always add mushrooms while heating in the pan and sprinkle shredded mozzarella cheese on the filled bowl! Absolutely delicious! Love the idea of adding mushrooms! And so glad you enjoyed the recipe!